Then, you click the “Generate Timeline” button. 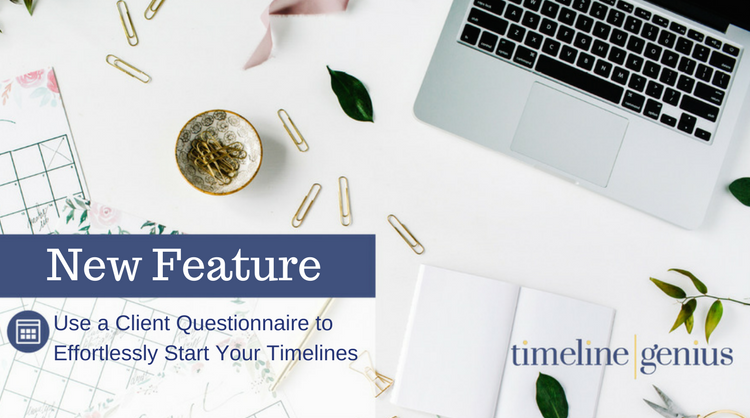 And voilà, you’ve got a detailed, customized timeline for your event! 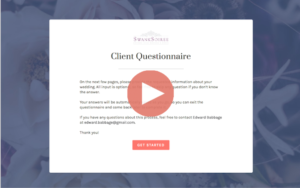 Another nice thing about the new client questionnaire feature is that it works as an extension of your branding. For example, your client will only see your logo — not ours — when they’re filling out the questionnaire. Our goal is to help your clients see and appreciate the highly professional, tech-savvy service you’re giving them. We’ve got more exciting features coming your way in the weeks ahead, so stay tuned!